Measures approx: 3.25" X 3" X 5.5"
What boy could resist this? You won't believe the intricate details on this stout brushed pewter bank - from the mesh front grill to the hubcaps of its big threaded rubber tires, this one's got just loads of little extras! And it works, too - the wheels roll, and the shovel rises and falls, just like the real thing. Holds lots of coins, yet small enough for tiny hands. Make this adorable gift a keepsake an engraved initial (on the top), for an extra personal touch. Load up on the savings when you give our "Front Loader" bank as your next gift. 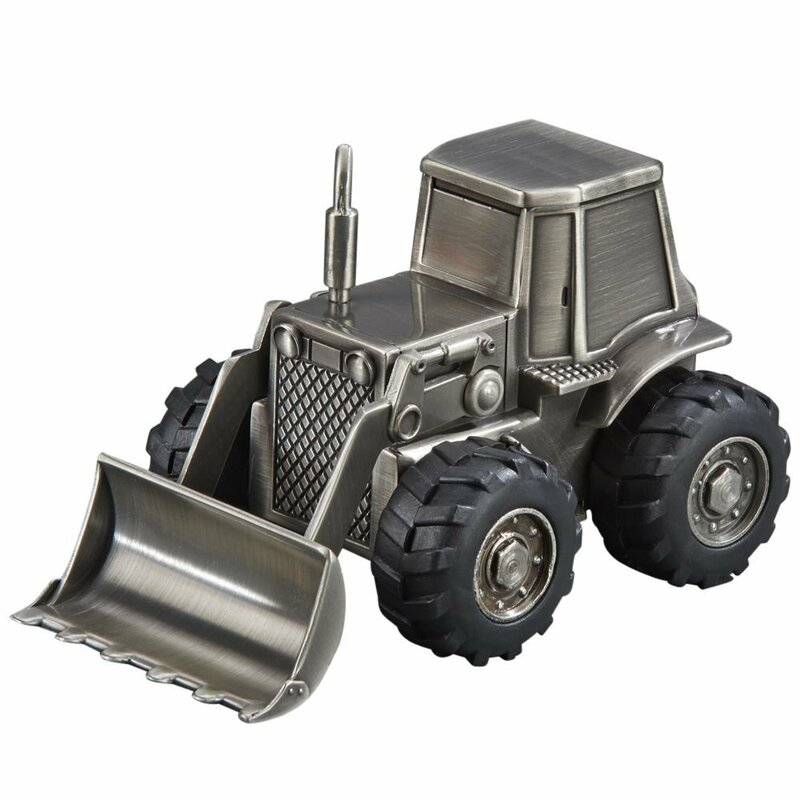 Our front loader bank is manufactured in a non-tarnish, brushed pewter finish and is crafted with amazing details including working rubber tires and a movable scoop. Kids of all ages will love to save with this fun bank.